What Those In The Know in Hollywood really know is that if they need a dark deed done, if they need a sticky personal or professional problem “fixed,” they can call upon the mysterious Fixxer. Whether you are a successful comedy film director whose “art” truly has never been appreciated because an important film critic has held a grudge against you, or you are a neophyte screenwriter who resents the professional blackmail just suffered, you call upon the Fixxer. Keep this on the QT with the Writers Guild! Steven Paul Leiva added: “Finding evil plans afoot to ‘draft’ Hollywood into a class-war conspiracy, the Fixxer goes into action to stop a potential war between the Haves and Have-Nots. I mix an L.A. 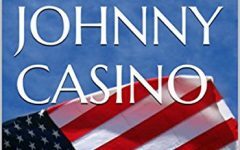 Noir feel with the more high-styled adventures of the Saint or James Bond, peppering in some satiric takes on the business of Hollywood for spice.” Hollywood is an ALL-Volunteer Army is a fast-paced thriller with more twists than a box of rotini pasta. Leiva has advice for writers: “Read—read eclectically, then read some more. And write as if you will always be read out loud.” As for the mechanics of writing, “I don’t really outline, except with major beats which I keep in my head. I know where I want to end and some of the stops along the way, but I’m always open to interesting detours. 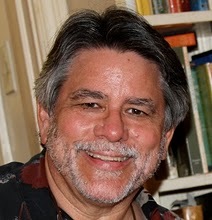 Steven Paul Leiva has toiled for years in the hills and valleys of Hollywood as a producer and writer. He produced the animation for “Space Jam,” pairing witty Bugs Bunny with sweaty Michael Jordan. His play, “Made on the Moon,” had its world premiere at the Edinburgh Fringe Festival. He lives in Los Angeles with his wife, Amanda, and daughter, Miranda. Being one of “those in the know” (and computer knowledgeable, a/k/a “geek”), Leiva has several venues. The Chamber-of-Commerce version of Hollywood is an ALL-Volunteer Army is at this site. And here is info about Blood is Pretty, which introduced his mysterious Hollywood-based hero. Leiva writes about The Fixxer on his blog. 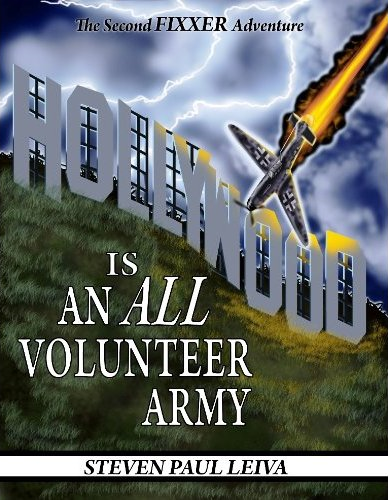 An excerpt from “Hollywood Army” can be found at this site. Whew! All those links made me hyper.